Per request, the two following graphs compare the coincident indexes discussed in yesterday’s post. 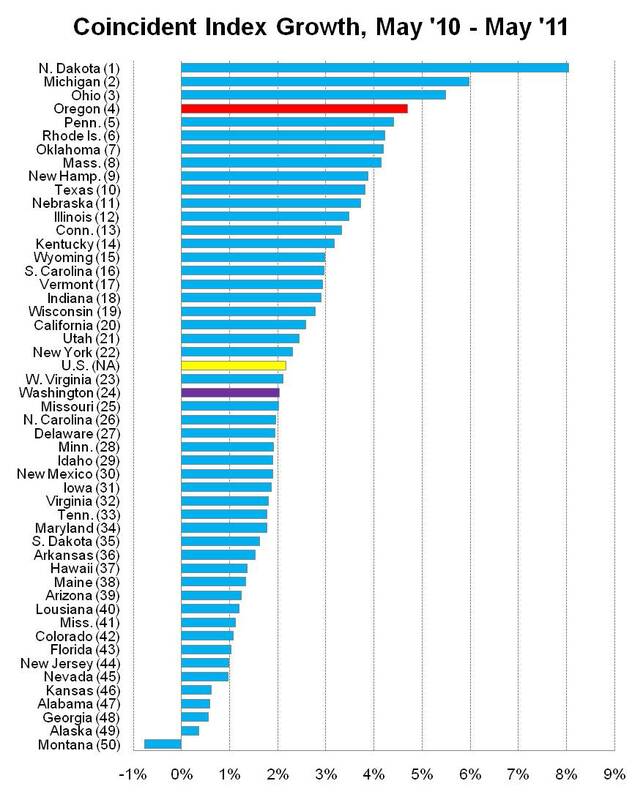 The first graph shows each state’s year-over-year growth rate, that is, what percent did each state’s index change from May 2010 to May 2011. Oregon’s increased 4.70 percent year-over-year, which ranks 4th best. The nation overall increased 2.16 percent. 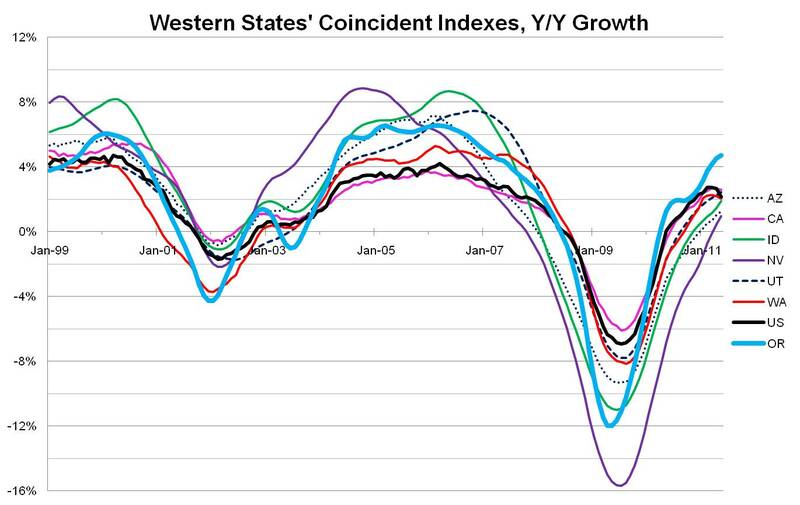 The second graph illustrates the year-over-year changes for Western states since 1999. This graph highlights the volatility in Oregon’s (and pretty much all Western states’) economy, relative to the national average. Currently Nevada remains the weakest performing Western state (no surprise there) and Oregon is the best performing, in terms of year-over-year growth based on the coincident index.